In the field of business and marketing, lead generation is one fundamental aspect or requirement. It is the process of creating a list or database of leads of those who can be considered potential clients or customers of a business’ products and services. Leads simply mean the business’ prospective or potential customers. And just like production, advertising, and any other marketing efforts, generating leads is a continuous process. With the numerous methods on lead generation listed below, anyone might be tempted to just list all names and contacts he or she wants to become part of the database. Although more leads are better, there are essential elements of a lead for that prospect to be considered as a quality or viable one; the lead should be willing, able, and be qualified to buy your product or service. - Willingness to buy. The lead or prospective customer should be willing to buy your product. Such willingness may be a result of the prospect’s wants or needs. Without such desire, there are no actual sales or revenues expected. - Ability to buy. Another essential element or quality of the prospective customer is its ability to buy. Most of the time, this is related with the prospect’s economic or income capacities. In marketing, the company has to establish and get to know its intended customer’s profile, segment, etc. When you are selling insurance or real estate, perhaps, you would rather consider the high-earning individuals as your leads. - Qualified to buy. Certain products and services are only offered and made available to certain groups of customers, in short, they are regulated. Medical equipment or highly potent drugs for example are only made available for those who have the required doctor’s approval, prescription, etc. The inherent benefits of generating leads are somewhat obvious, but the following list should provide a full perspective. - Sales generation and augmentation. Leads or prospects generated are essential for the continuance of business or the enjoyment of projected sales or revenues coming into the business. 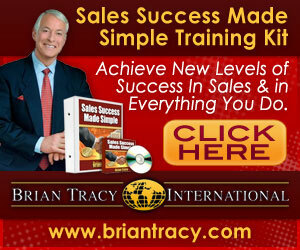 This active marketing approach also aids in increasing the volume or sales by tapping all possible clients or customers. Other relative benefits include; the increase in ROI, productivity, etc. - Determination of production and marketing costs. Lead generation is tantamount to the determination of a product or service’s corresponding demand. Hence, when the total expected demand is determined, the company would be able to make production and costs estimates in advance. - It is a chance to examine the market. Understanding the profile, the wants, and the capacities of the leads is a form of studying the product or service’s market. Based on said study, the company will be able to enhance or change product specifications based on the resulting market preferences. On the other hand, this will also become an opportunity for buyers or customers to inquire about the product details and request for certain features or changes with regard to the product or services being offered. - Mail or e-mail solicitations, surveys, or memberships. Contact Lava Leads now to get a customized Lead Generation Campaign started for your organization!